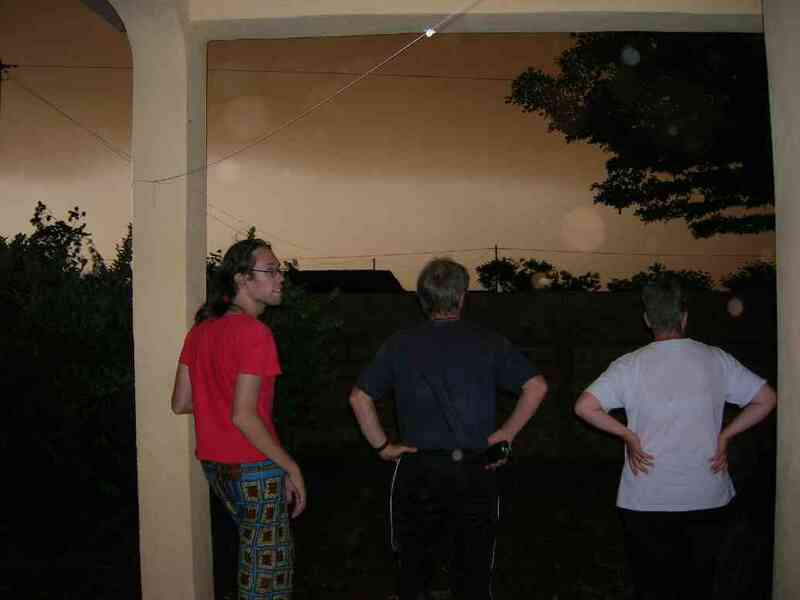 Together with Guido and Isabelle, two Belgian visitors, we admire the upcoming thunderstorm. Black clouds pack together when a violent wind blows a turbulent sand cloud accross town. The sky turns brown. Then, you just wait for the first raindrops to come and fetch the dust out of the air. Our first picture of the week is an image of Prospère and his family working on their field in Leba. 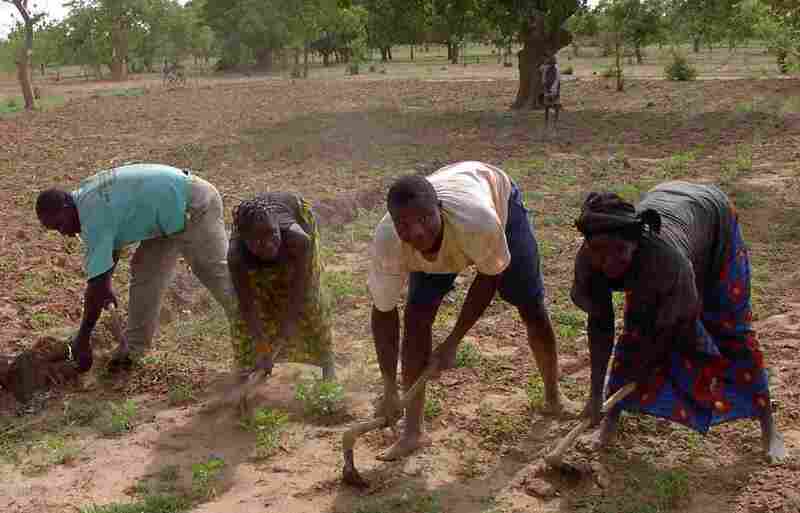 They are weeding their field of millet, the most important local cereal, using the daba (a type of hoe).